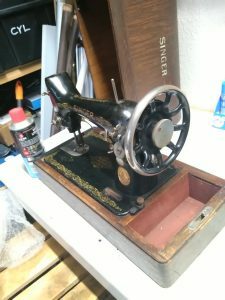 Over the last year we have had various donations of equipment including a Singer sewing machine and Draper band saw. We have enjoyed laser-cutting a whole range of signs, leatherwork and even Arts Council funded sculptures. 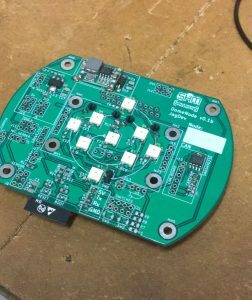 Electronics has also featured prominently our group build of dome nodes, modular synthesisers and various digital clocks have gathered a lot of enthusiastic support. 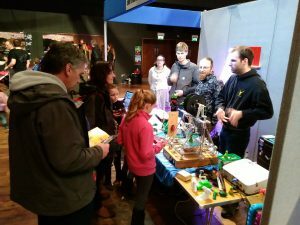 This is an annual large technology showcase event held at GLive in Guildford where we demonstrate the wide range of creative projects from the MakerSpace and its community workshop to the general public and ideas, new technologies and knowledge in many stimulating conversations. 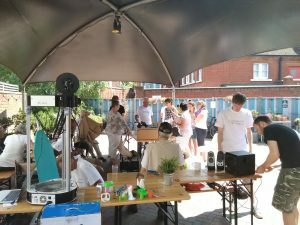 Organised by Guildford Borough Council to encourage people to repair their broken items and reduce landfill the Repair Cafe has proved very popular. 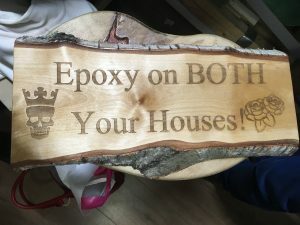 We have enjoyed hosting the event in the Boileroom Garden and venue and seeing the enthusiasm of the attendees as old damaged items are brought back to life. Our additional workshop facilities and expertise helping broaden the range of repairs. 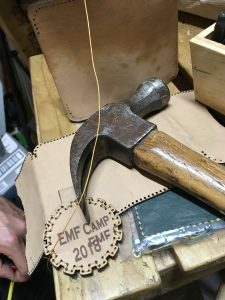 EMF camp 2018 had the largest SHM village yet with many members, associates and friends. 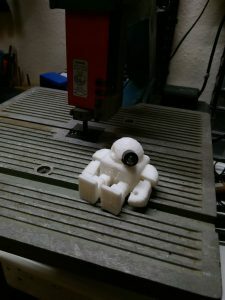 We enjoyed visits from and visited many other groups and makerspaces from the UK and around the world. 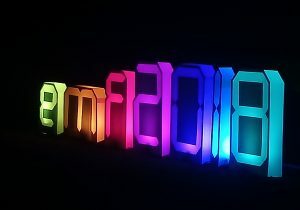 Our geodesic dome made its second EMF appearance, this year sporting multiple networks of microcontrolled blinding LEDs and pacmen. 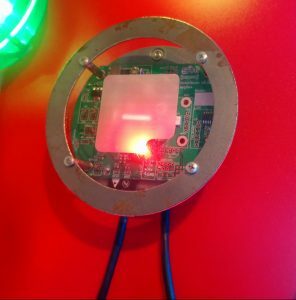 Wireless and CANBus lighting nodes for our geodesic dome and EMF camp laser cut leatherwork. 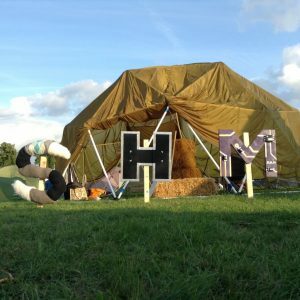 In October we had our first Hack the Space. 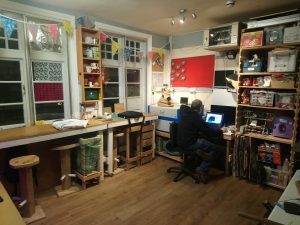 This started with an all round clean up followed by modifying storage, creating more workspace and creative space saving. We plan to follow up with electronics area improvements.